Looking for a good bargain on your first brand-new car? Here are 5 choices that fit the bill. There comes a point in life when we want to buy a new car. Not a used one but a new one, straight from the showroom floor. It’s not unusual to be on a strict budget because, let’s face it, economic times aren't the rosiest. So we've compiled the following five cars that have good value, a bit of style and respectable performance. They’re also good enough to serve as entry-level family cars – just in case you tie the knot and a little bundle of poop and joy comes along. First going on sale in the US back in 2010 after years of success in Europe, the Ford Fiesta boasts a top-notch interior with solid fit and finish, a dual-clutch transmission and an infotainment system that was designed with Microsoft specifically to sync with smartphones. Ford went to great lengths to understand the young-adult market segment in order to get the Fiesta’s packaging just right. Sales have been excellent so far and, along with sedan and five-door hatchback body styles, the high-performance Fiesta ST just debuted with a base price of $21,400. 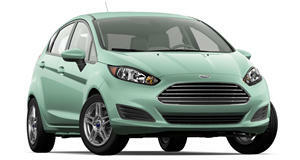 Pricing for the standard Fiesta starts off at $13,200. For hard-core GM fans that can’t bring themselves to buy a Ford, Chevrolet recently unveiled the first small car it’s offered in years that’s actually worth a damn (remember the Aveo?). The Sonic is offered as both a sedan and five-door hatch, powered by a choice of small but scrappy four-cylinder engines. If an added measure sportiness is desired, the Sonic RS is offered for a base price of just $20,995. But for those who are looking for a simple and solid car that’ll more than do the job, the Sonic starts off at just $15,595. Cars don't get much cheaper than that. Need something a bit bigger? The Mazda3 is a solid choice. Ever since it first went on sale in 2003, the Mazda3 has been seen as the near ideal mix of driving fun, build quality and practicality. Despite a somewhat controversial redesign for 2009, it still remains the choice for those who love to drive, need a larger sedan or hatchback and appreciate Japanese build quality without the boredom associated with a Civic or Corolla. Last year Mazda began offering its new SkyActiv 2.0-liter, direct-injection four-pot mated to an also-new six-speed automatic. A six-speed manual is also offered. Pricing starts at just $16,700. Car fans dream of owning an Alfa Romeo, but until the brand returns to the US and your bank account grows, you’ll need to settle for something more realistic. Enter the Dodge Dart, which is based on the same platform as the Alfa Romeo Giulietta. Powered by a choice of four-cylinder engines, the Dart may not look like an Alfa, but in a sea of econo-boxes, it looks pretty darn good just the same. 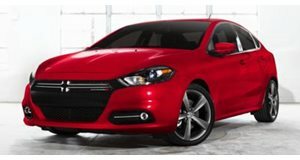 With a wide variety of options and available performance packages, the Dart is a true bargain with base price of $15,995. All of which is much more than we could ever say about the Caliber it replaces. Say all the aforementioned choices are simply too staid and conventional for your tastes, then the Kia Soul could be the answer. Yes, it’s a Kia, but if you’ve been keeping track of the brand lately then you’ll know that the once maligned automaker is offering solid choices these days. As far as styling goes, it looks better than the Nissan Cube, Scion xB or Honda Element. It’s not extremely powerful in base trim, but the optional 2.0-liter four spruces things up a bit. With plenty of interior space and eye-catching styling inside and out, the Kia Soul starts off at $14,400.